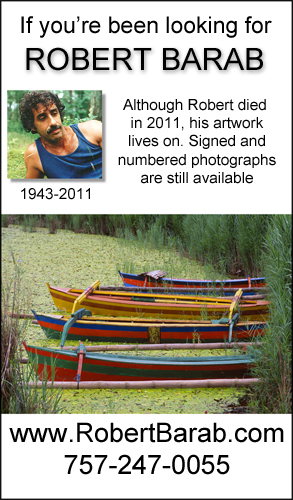 Robert Barab, a photographer on the art show circuit, passed away in Febuary 2011. He regularly exhibited at art shows like Armonk and Longs Park. I’ve kept Robert Barab’s web site up so his wife Trilla can continue selling his limited edition prints. 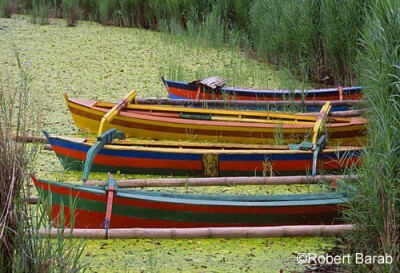 Robert’s Bali Boats image is one of his most memorable images. In fact, it’s the home page image on his web site. With the Long’s Park Art Festival coming up Labor Day weekend, Trilla decided to place an ad advertising Robert’s prints in the show program. This is the ad I worked up for her. Also, at some point in the future, I’ll be creating a page listing all of Robert Barab’s camera equipment I’m trying to sell. He has a Hasselblad H1 system with film back, a Nikon system with lenses from 16mm to 300mm and a Gitzo tripod with Arca Swiss B1 ball head. Contact me if you’re interested in any of the camera stuff. Some of the camera equipment is listed in this post on my photography forum. 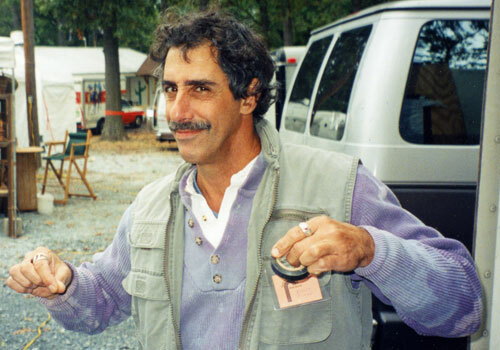 Here’s a picture I took of Robert in the mid 1990’s at The National Craft Fair. And finally, a little humor. 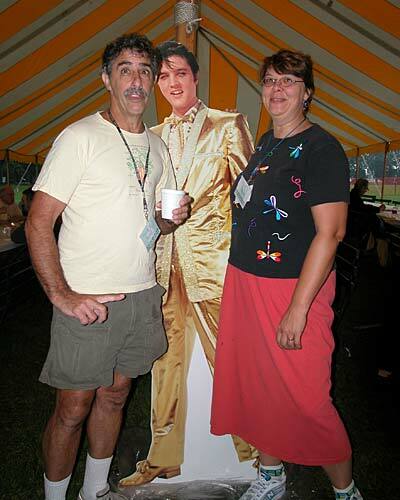 Here’s a picture I took of Robert and Trilla with Elvis at the 2003 Long’s Park art show when I was exhibiting there.